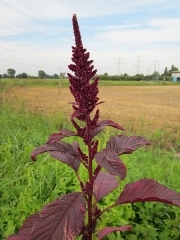 Amaranth (Amaranthus spp. 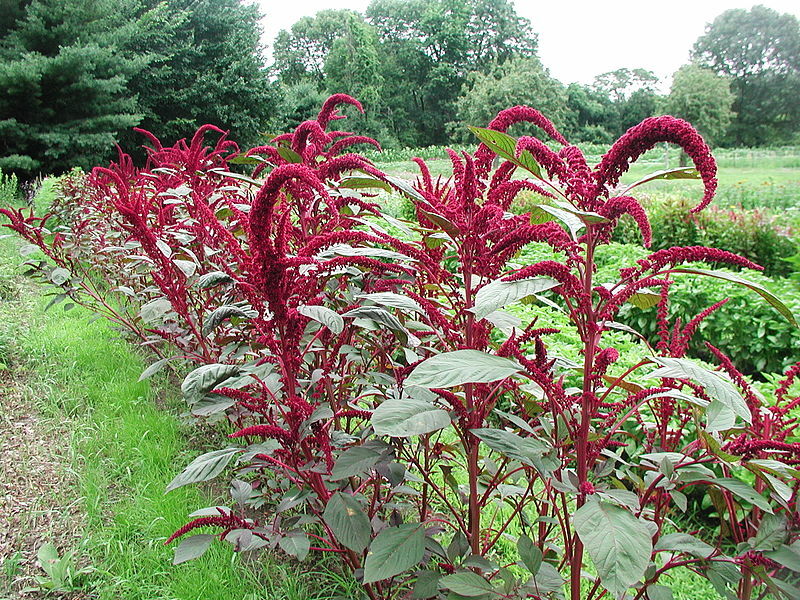 ), also known as love-lies-bleeding or pigweed, is reasonably common in flower beds and nurseries around Perth. It’s an impressive looking plant, with tall spires of long lasting pink, purple, or orange flowers and often attractively variegated red and green leaves. Amaranth species prefer a tropical climate, but many species are frost tolerant, and they’re so hardy that they’re considered a weed in many places. I saw a few growing wild in the middle of the city this morning. Almost every part of the plant is edible. The seeds were a staple food of the native people of Mesoamerica, until its cultivation was banned by the conquistadores. The seeds have a mild, nutty, malty flavour, and are high in minerals such as iron, magnesium, phosphorus, copper and manganese as well as offering a complete protein (containing all essential amino acids for human health). They can be cooked like rice, either with rice or other grains, or alone; cooked on their own they cook up to a stickier consistency than rice or quinoa do, more like polenta. The seeds can also be cooked into a porridge, or used to add protein andinterest to stews or soups. They can be parched and milled into a gluten free flour, or popped like popcorn. Popped amaranth seeds mixed with honey make a very tasty breakfast cereal. 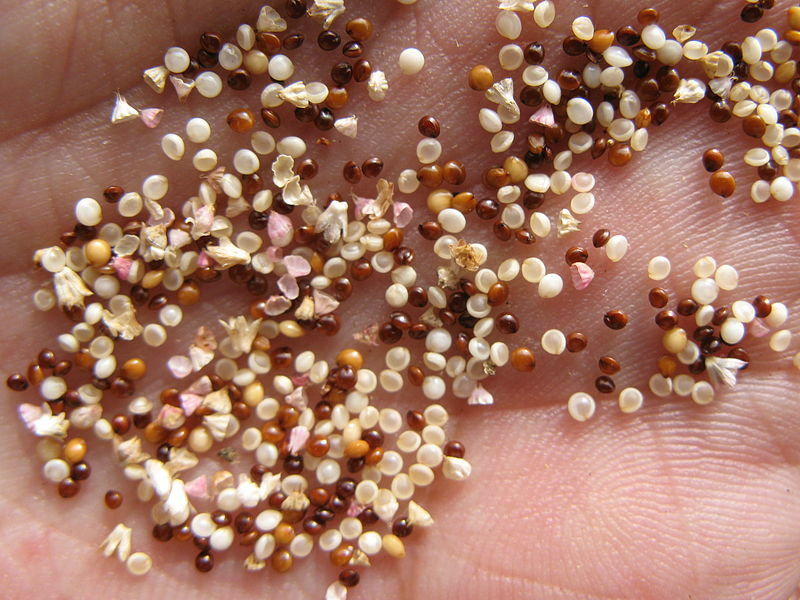 Amaranth seeds can also be sprouted, in the same way as alfalfa, wheat, or other seeds. 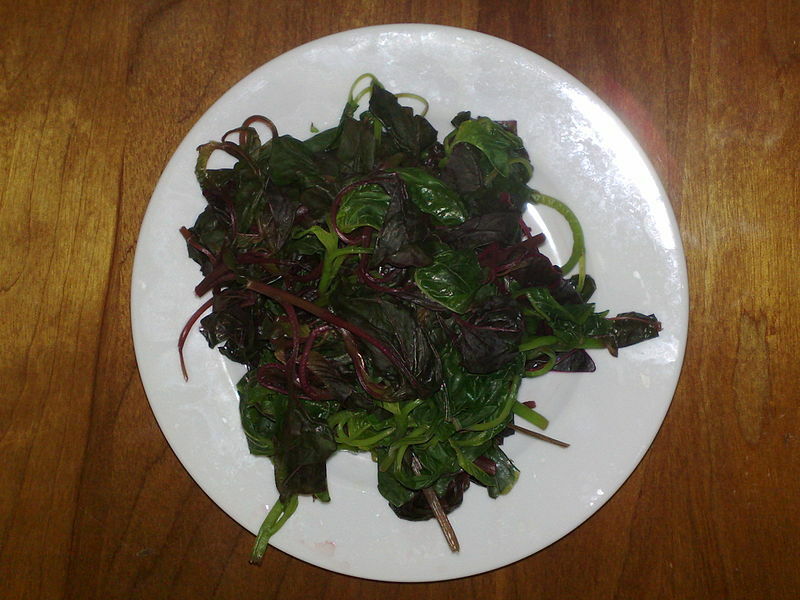 The leaves, young stems and shoots can be cooked like spinach. They soften up readily, requiring only a few minutes cooking, which helps avoid excessive nutrient loss. The boiled leaves may be rubbed through a fine sieve and served as a puree. Young shoots and tender young leaves can also be eaten raw, as a salad vagetable. 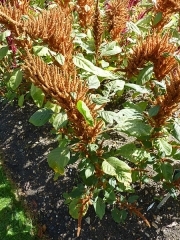 Generally different species are grown primarily for the seeds (Amaranthus caudatus, Amaranthus cruentus, and Amaranthus hypochondriacus) and for the leaves (Amaranthus tricolor, Amaranthus cruentus, Amaranthus blitum, Amaranthus dubius), but both the seeds and leaves of all amaranths are equally edible and nutritious. Amaranths grown principally for vegetable use have better tasting leaves then the grain types. Amaranths are mostly annuals or short-lived perennials, grown from seed or seedlings planted in late winter or spring (after frosts have passed). As they are tall, soft plants they need protection from strong winds. They use the C4 photosynthesis pathway, which means that they thrive in areas of high light intensity and heat, and can survive drought conditions better than many plants. With supplemental water, the yield of grain amaranth is comparable to rice or maize. Seeds can be harvested by hand or mechanically; leaves are harvested by hand. 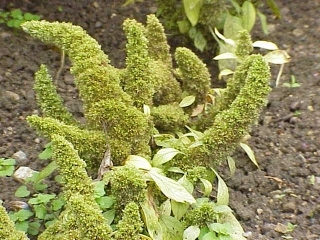 Water – Amaranth survives drought conditions, and will grow happily with 200 – 3000 mm of rainfall, or supplemental water. Leaf amaranths require more water than grain types. 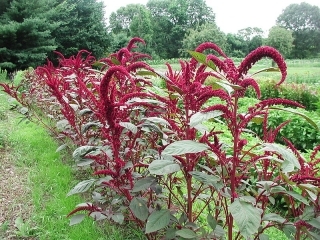 Sunlight – Amaranth thrives in strong sunlight and high temperatures – it will grow and thrive at 30 – 35 degrees celsius. The ground should be 18 degrees Celsius or more before seeds are planted to ensure good germination. Soil – Although amaranth prefers a rich soil, it will grow in virtually any well drained location short of pure beach sand. Clay soils can inhibit germination, as the young amaranth seedlings are quite delicate and may not be able to push through a clay crust on the soil. Space – Amaranth comes in all sizes, shapes and colours. Commercially, optimum grain yields have been obtained at around 45 plants per square m.
Edible seeds (which, when cooked, can also be fed to poultry & fish). Edible leaves (which can also be used for animal fodder). Attractive, hardy ornamental plant for landscaping. 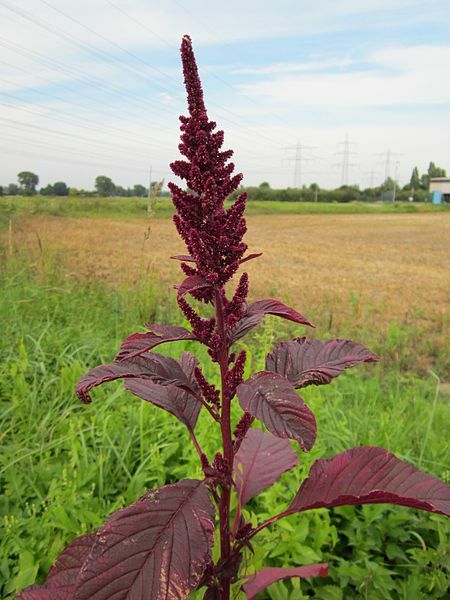 Harvesting Amaranth grain – Is It Worth it?